In celebration of the release of Star Wars: The Force Awakens, Twitter has bestowed the greatest honor it could on director JJ Abrams. Responsible for the seventh installment of the Star Wars movie franchise, JJ Abrams is now a Twitter emoji. 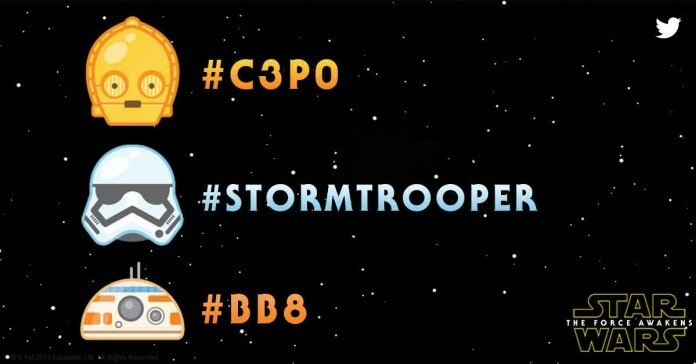 Earlier this month, Twitter launched a series of new Star Wars-themed emojis for the social media platform, including the film’s young characters Finn, Rey and Poe. To use them, all you had to do was type in either #finnawakens, #reyawakens or #poeawakens to get the emoji you wanted. And now, if you want to talk about the latest Star Wars film and its director on Twitter, you can just type the hashtag #JJAbrams and a little JJ will appear. After all, you know you’ve made it when you get your own Twitter emoji.